Angry Bird Space has landed at Terminal 3 at Singapore Changi Airport. 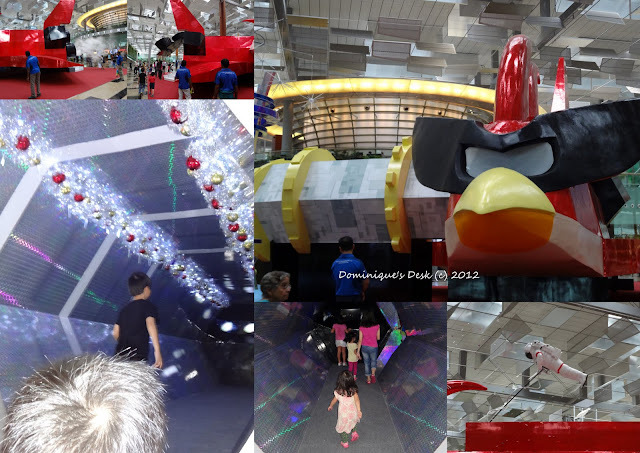 This week the kids and I were given an exclusive Invitation to Angry Birds Space Christmas Preview at Changi Airport. 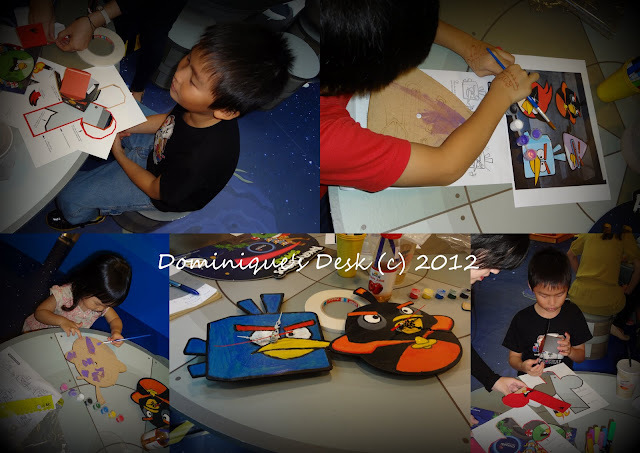 The kids were thrilled as they are big fans of Angry Bird Space. The tour started at the Space lounge where the play area was located. The kids couldn’t wait to go into the indoor playground and check out the 4 different areas inside it. The space adventure playground was the main attraction within the play area for the kids. They headed over there to check out the gigantic ball pit. The boys had fun walking from one side of the ball pit to the other and throwing balls at each other. They even tried burying themselves up to their necks with the plastic balls. Tiger girl too wanted to enter the ball pit but it was too deep for her. It is certainly not suitable for kids under 3 yrs old as the balls reached over her head when she took a step in. There weren’t any other climbing structures, tunnels or obstacle courses at the space adventure playground besides the ball pit and the slide and the kids started exploring the other play structures in the area. The kids moved on to the bouncy ball area where they launched the yellow balls using the gigantic catapults. No prizes for guessing what they were aiming at at the other end of the area. Both the boys managed to hit the pigs with the yellow balls on their first attempt and they were thrilled!! IF you are wondering what was on the other side of the Green pigs there were monitors which were pre-loaded with the Angry Bird Space game. The kids have been playing with the app on the iPad so they were not new to the game. Besides the back of the pigs there were also gaming screens on the side of the bird in the cool zone. The last zone in the Space Lounge was the Out of Space Zone where kids could bounce to their delight on the trampolines there. The boys enjoyed themselves bouncing around on the largest trampoline. Tiger girl too had her fill of bouncing up and down on the smaller trampolines around the craters. From the playzone we went to the Angry Bird Shuttle which was located in the middle of the departure lounge at Level 2. There the kids were given a walk through of the space shuttle by entering it through the hatch. There were laser lights shining around which lit up the passage as you walked through the passage. We managed to catch the shuttle “lift off” and saw an astronaut appearing from the top of the hatch once the space shuttle had landed. You can take animated pictures near the space shuttle using the special props that they have. The last stop we had was at Basement Two whereby the kids got to do some arts and crafts. 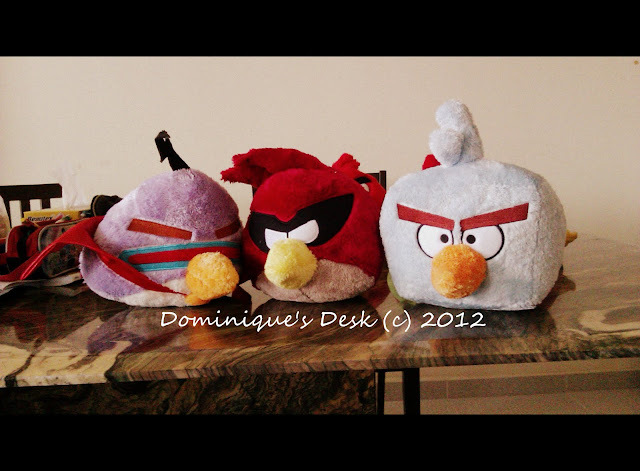 They could choose one of the following tasks- Angry Bird Space Pop up picture, Angry Bird Space clock or an Angry Bird Tote bag. Monkey boy chose to do the pop up picture while Tiger girl and Doggie boy decided on painting their own clocks. Their interest in the crafts soon waned but who could blame them. You see they were more fascinated with this contraption which was set up at the other end of the craft area. Even Tiger girl had a go trying to throw a bird at the pigs. Before long it was time to head home as Tiger girl was getting sleepy and would be needing her afternoon nap. The kids didn’t leave empty handed as besides bringing home their crafts they also took back these cute little plushies. 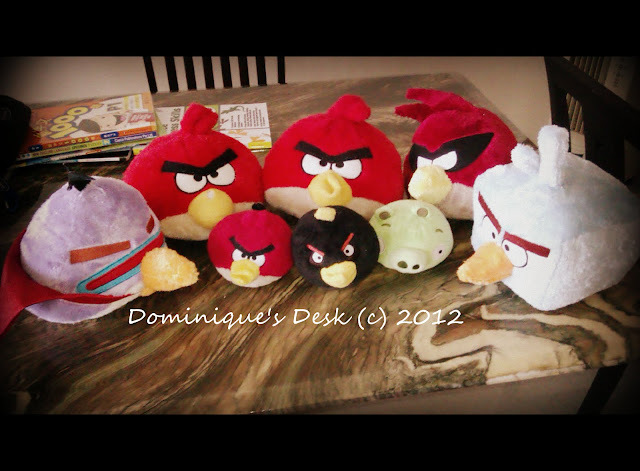 The kids collection of Angry bird soft toys. Who wants to come over to play a game of toss the bird at the pigs? Disclaimer: We were given a media invite by CAG to attend the event. Opinions are 100% my own.